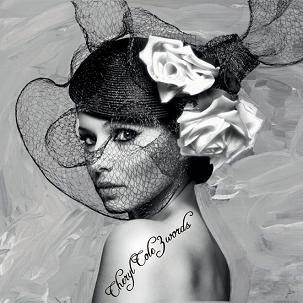 Is The Debut Solo Album From Cheryl Cole Any Good? It must be like a whirlwind for Cheryl Cole… the first solo single ‘Fight For This Love’ has became the fastest selling single of the year so far and she will probably achieve a chart double this weekend with both single and album going to number 1. The album has had a lot of negative reviews from critics but with the hype surrounding Cheryl at the moment, it really doesn’t matter. It does take a couple of listens to appreciate the album as a whole package and it’s fairly good. Forthcoming single ‘3 Words’ is ace, it’s intense as it builds to a big finish. ‘Parachute’ is very good! Our favourite track is ‘Rain On Me’, which, is a retro disco inspired number with a great chorus and Cheryl’s vocals sound delicious. ‘Stand Up’ is also fantastic, it’s a club banger courtesy of Taio Cruz. ‘3 Words’ isn’t always brilliant. We REALLY disliked Cheryl’s version of ‘Don’t Talk About This Love’, which is a beautiful and fragile song written and recorded by the AMAZING Nikola Rachelle – you can hear the original version on her MySpace profile by clicking here. ‘Boy Like You’ samples the intro of the very excellent ‘Little Lies’ by Fleetwood Mac – no need! Mmmmmmmmmmmmmmmmmmmm… despite this, it is fairly decent and it really does deserve a chance!